A big thank you to Ink Beauty Bar for sponsoring today’s discussion. I’ve been eyeing (no pun intended) eyelash extensions for quite some time now. I have really long lashes but for some reason, I can just never get them to cooperate. I don’t know if I’m using the wrong mascara or putting it on wrong, but regardless, they never look the way I want them to. 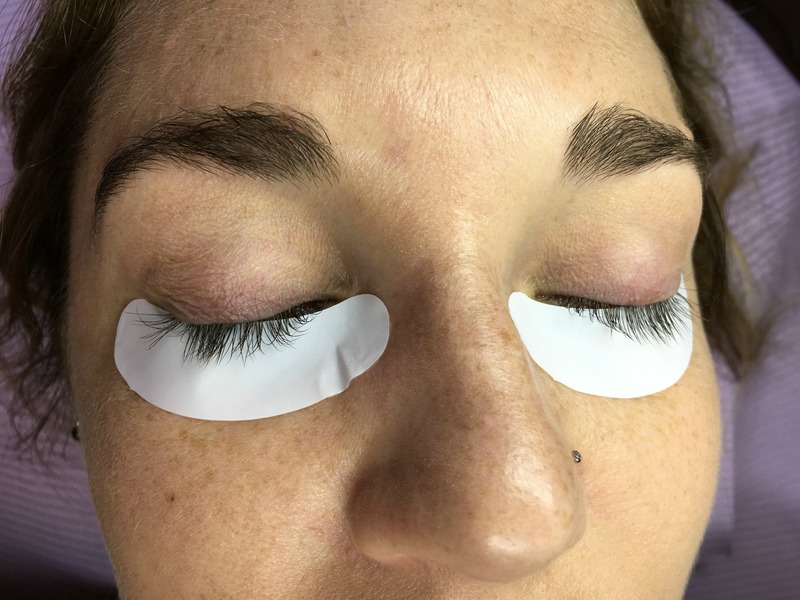 I’ve done my research and asked around and most people have told me that while lash extensions look phenomenal, there are a few reasons to stay away from them. First of all, they’re expensive. And going right along with the price, they’re addictive. Once you have super long, lush, beautiful lashes, you’re not going to want to deal with the lashes you wanted to change in the first place, right? Another concern of mine has been damaging the lashes and finding someone that knows what they’re doing. I know people do them every day and they look AMAZING. I’m just not sure I can justify it given all of my reservations. 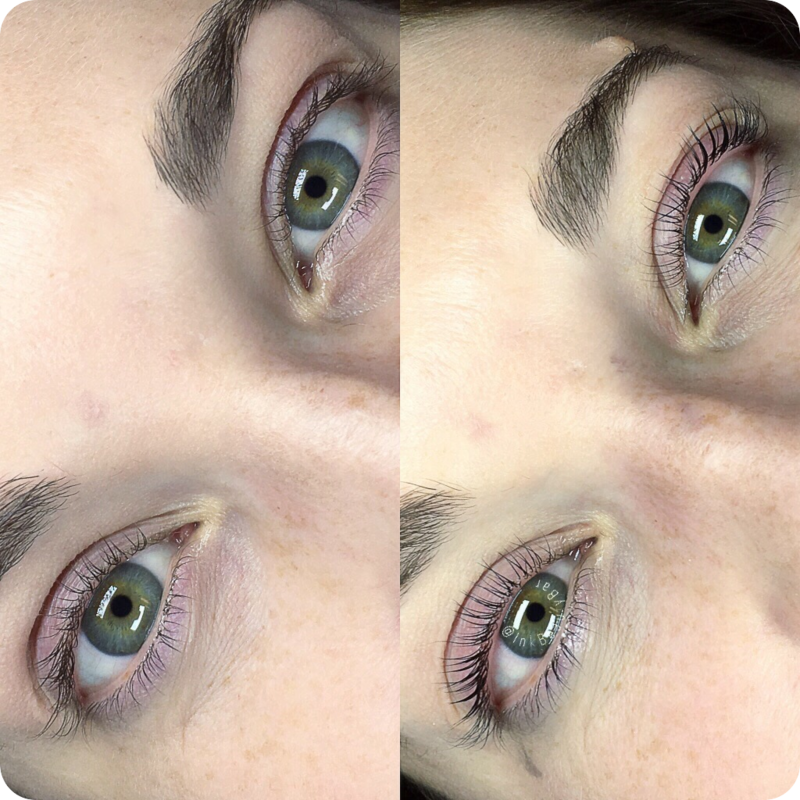 So when Ink Beauty Bar contacted me to try a Lash Lift and Tint, I jumped at the opportunity! 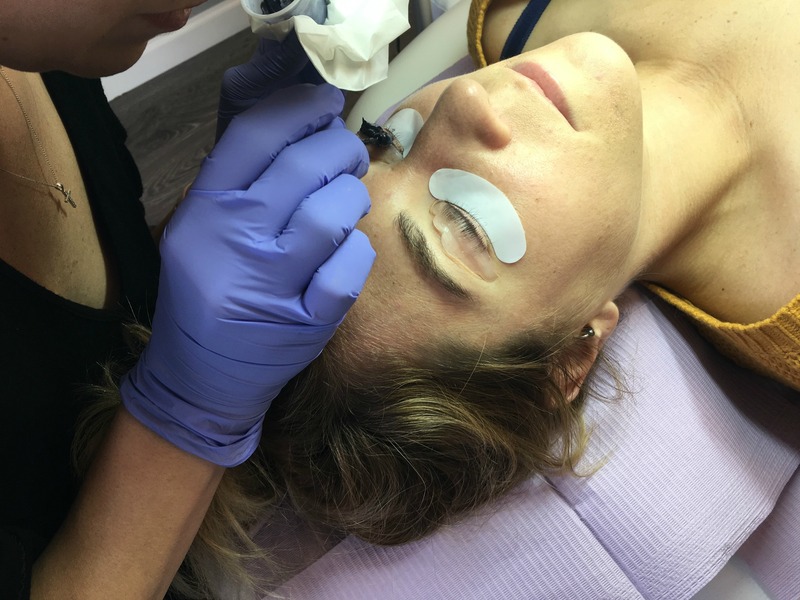 When I talked to people about lash extensions and the things holding me back, they had suggested a lift and tint so it seemed like the stars were aligning and I couldn’t wait to give it a try. So what’s a lift and tint? A lift does just what it sounds like it does; it lifts, curls, and gives your natural lashes definition. The tint then makes them darker and more noticeable. First, your lashes are thoroughly cleansed. There can’t be anything on them! 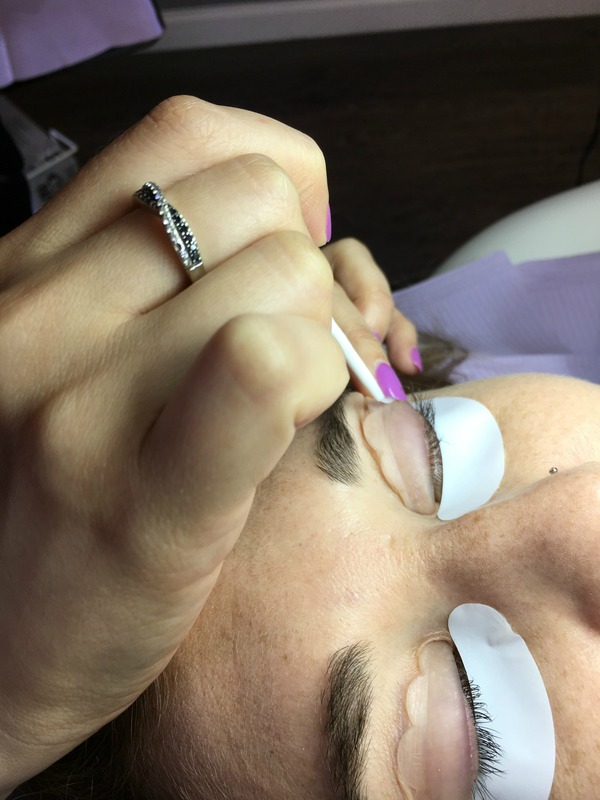 Next, gel pads are applied to your bottom lashes so they can’t get in the way of the top ones getting all the attention. 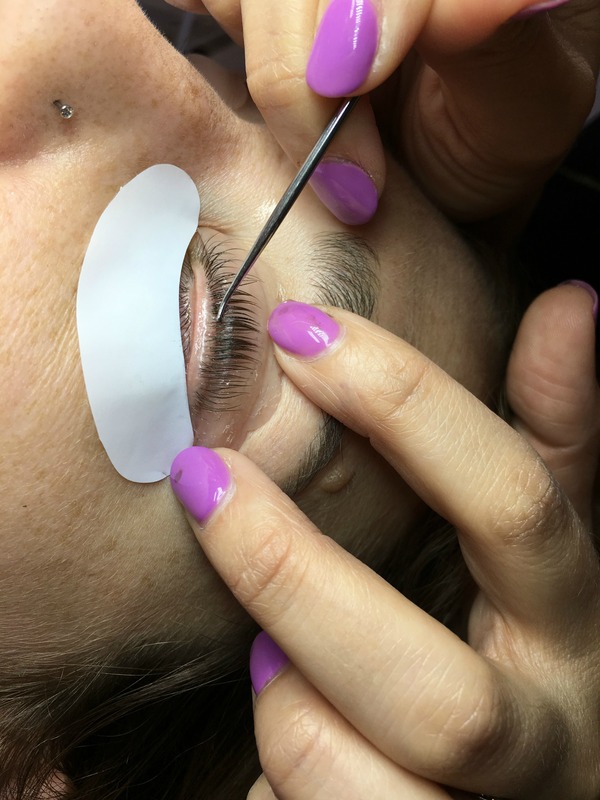 Once those are on, a small, medium, or large rod (depending on your lash size) is placed. 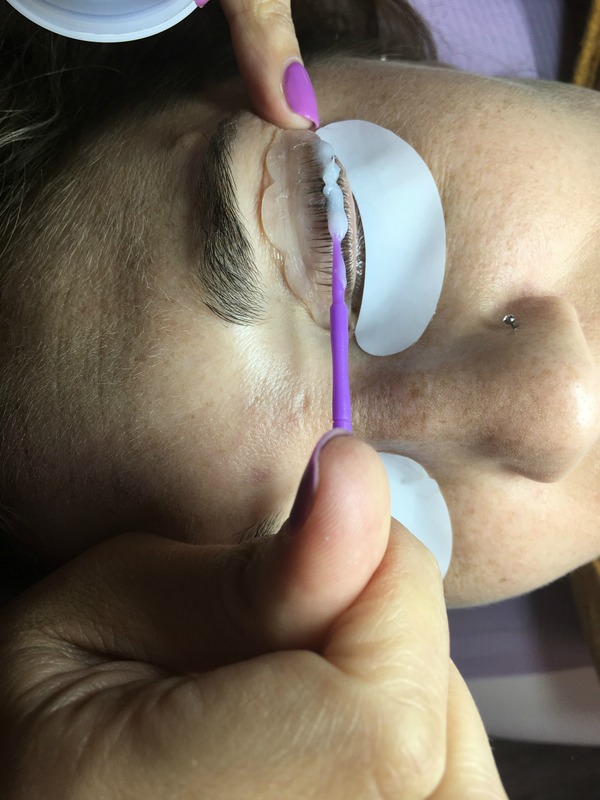 A gentle adhesive is applied to the lashes to lift them onto the rod. The first step in the actual processing: the setting solution. This is essentially a gentler version of a perming solution (hello 7th grade flashbacks) that allows your lashes to curl over the rod. This sets for 5-10 min. This is then removed. Next, a neutralizing solution is applied to deactivate the setting solution. This sets for 5-7 min. Last but not least, a tint is applied and this sits for a few minutes before getting removed. Voila.. you have beautiful lashes! None of this process was painful. The rod was a little uncomfortable and the tinting solution did sneak into my eye and burn a bit. But Cristine was amazing, thorough, and made sure to make me as comfortable as possible. SO… are you ready for the before and after?!! 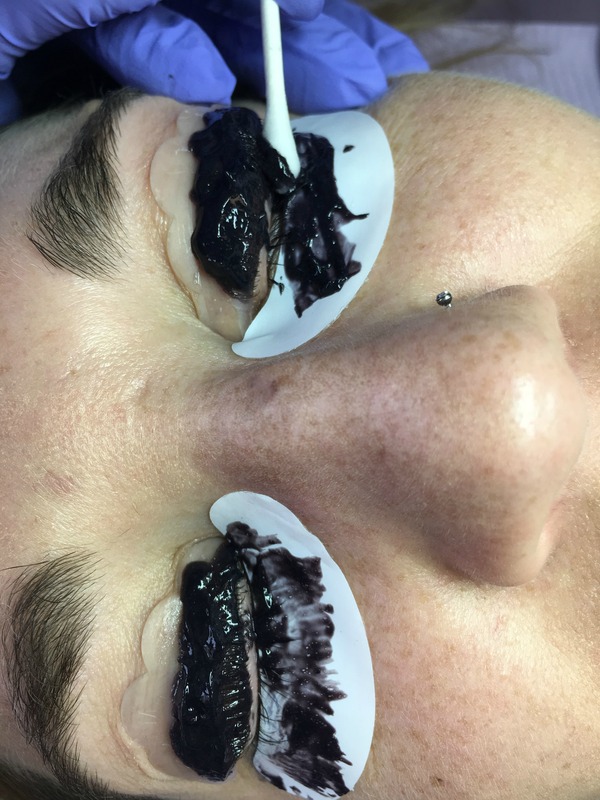 This was right after the procedure and with NO mascara. Amazing… right?! Oh lashes, I love you. They will stay like this for 6-8 weeks, depending on how fast my lashes fall out and replace themselves. We lose 1-5 lashes everyday and once the new ones in, they grow in straight. So if you want to keep these beautiful lashes the way they are, just schedule an appointment every 5-7 weeks! 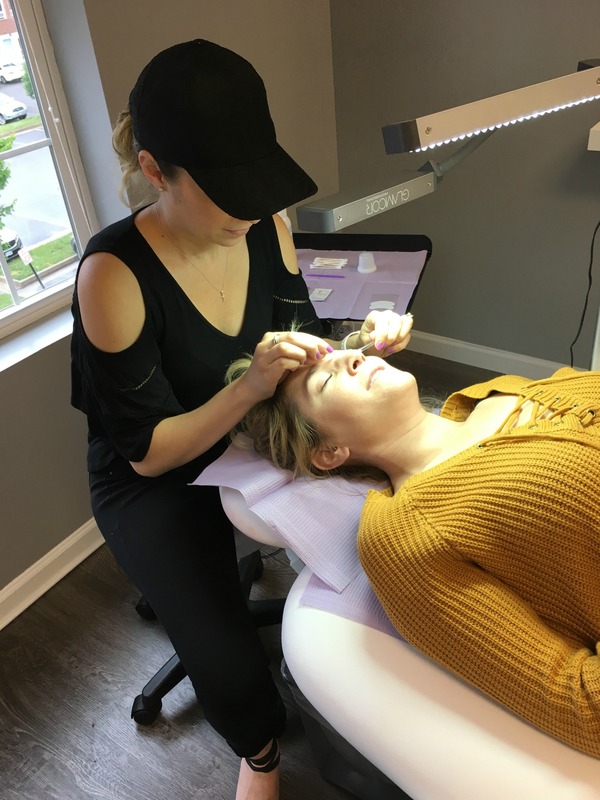 If you’re in the Northern Virginia, D.C. area looking for a lash lift and tint, be sure to visit Ink Beauty Bar! Cristine is fabulous and will not let you down. 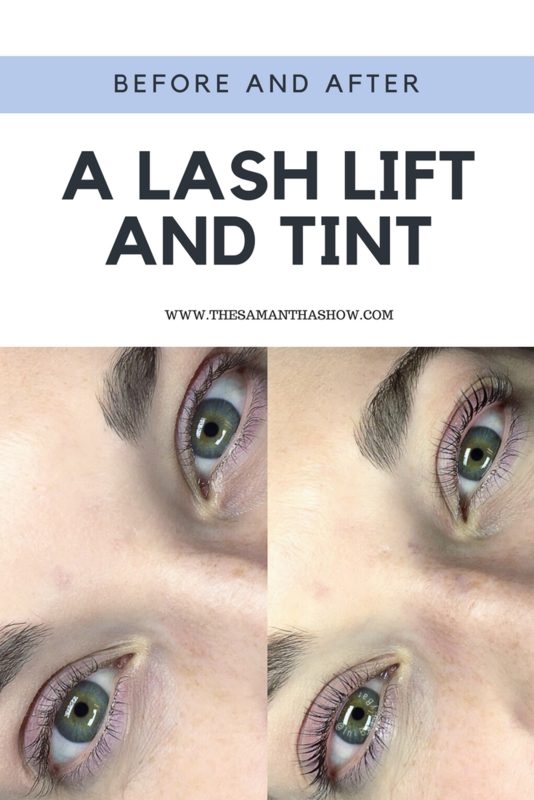 Have you ever had extensions or a lift and tint? What did you think?? « Prison tours + ripped denim. I had lash extensions last summer and I LOVED them. But with a 10 month old I don’t have the time to go get them filled. My lashes are blonde and pretty straight so a lash lift alone I think would help a lot. It’s fun to try out new services even if you don’t end up maintaining them long term. That looks scary to do but now I want to get it done because my lashes will not curl. Haha I’m with Jasmine… all that black mess on your eyes looks scary! However, your lashes look BOMB!! I’ve been thinking of either getting extensions of doing a lift for my wedding! 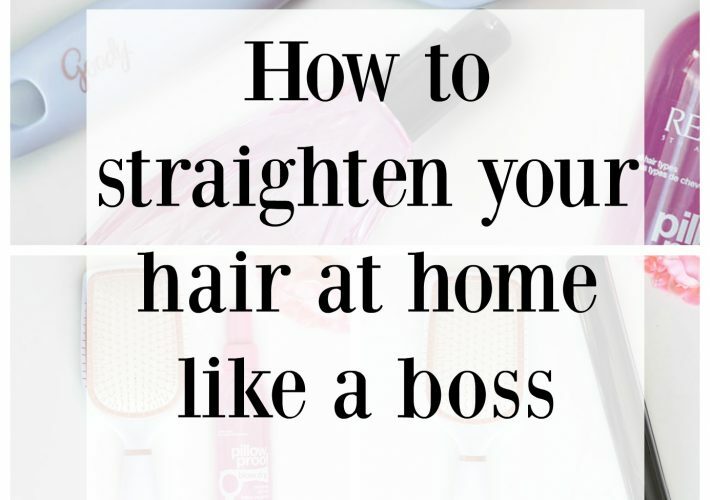 It makes such a massive difference and your lashes look gorgeous.